A delightful pearl headpiece which beautifully captures influences from the Roaring Twenties and the Starlet 40s. This captivating 'piece' takes inspiration from vintage headpieces from 1940s Hollywood combined with fabulous '20s style. 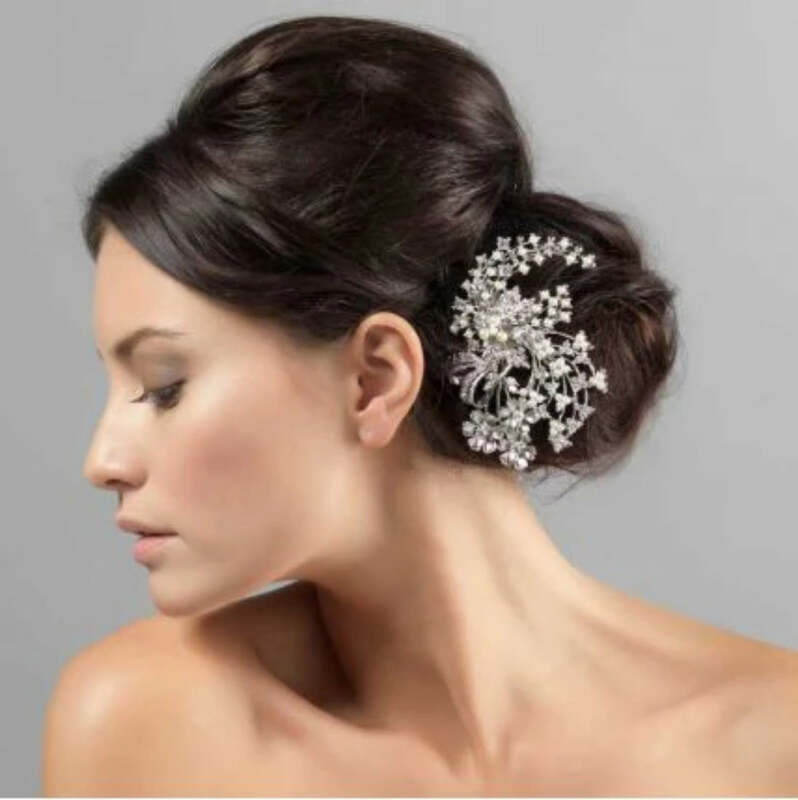 Featuring an enchanting design of flowers, leaves and a ribbon effect bow adorned with ivory faux pearls and clear Austrian crystals set on winding crystal and pearl studded stems, this is a bold hair accessory to treasure. A headpiece which looks exquisite placed at the side of the head, it secures to the hair with a small concord clip. Wear above a low side bun or at the back of the head above a low up-do and coordinate with a pair of crystal and pearl earrings and a bold bangle for Starlet style. 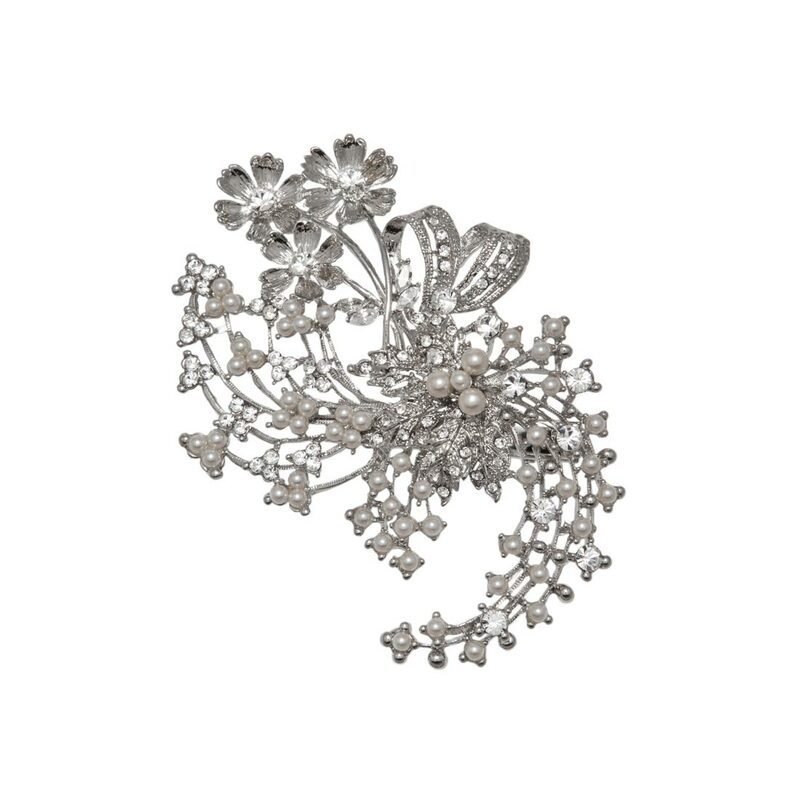 A beautiful hair accessory for brides who adore vintage wedding headpieces, this looks divine with an antique bridal gown whether figure-hugging, fairytale or drop-waist flapper style.